2013 Aprilia Dorsoduro 750 Factory. Picture credits - Aprilia. Submit more pictures. A fantastic plaything for your free time that turns your dreams into reality with its undiluted essentiality. Incredibly agile, fun and nimble, with class beating low end torque and a chassis that is a masterpiece of lightness and stiffness. Ride it with all of your body, enjoy it with your entire soul: with Dorsoduro 750 Factory, you can afford to play hard! Front brakes: Double disc. Bremo. Wave stainless steel floating disc. Rear brakes: Single disc. Bremo. Wave stainless steel floating disc. Ask questions Join the 13 Aprilia Dorsoduro 750 Factory discussion group or the general Aprilia discussion group. Rate motorcycles you know and help your fellow riders to find the bike that is right for them. Bikez has the most users and the most extensive motorcycle rating on the net. It includes reliability, design, engine performance, accident risk, repair cost, offroad capabilities, racing track capabilities and touring capabilities. The ratings are also used to rank the 100 most popular MC models each year since 1990. The lists	are adjusted weekly as new ratings are added. 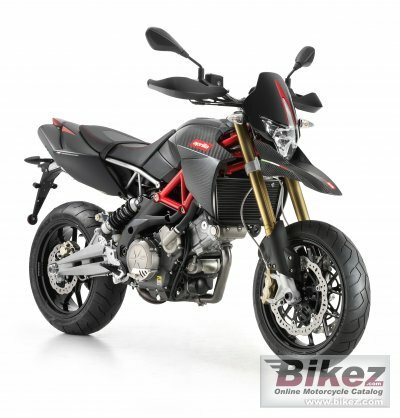 You can check out the rating of the 2013 Aprilia Dorsoduro 750 Factory and compare it to other bikes here.